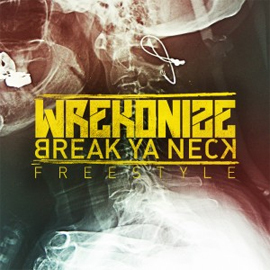 For the fifth and final installment in his Thrift Store Halos freestyle series, Wrekonize loads up the syllables and chopper flows over the fan-selected “Break Ya Neck” from Busta Rhymes. Punchlines? Check. Mitt Romney blast? Check. Wrek knocked another one out and while the series may be over, there’s still plenty more to come from ¡MAYDAY!